Ravi Kishan, who made his acting debut with Hindi films, had started doing Bhojpuri movies in the early 2000s. 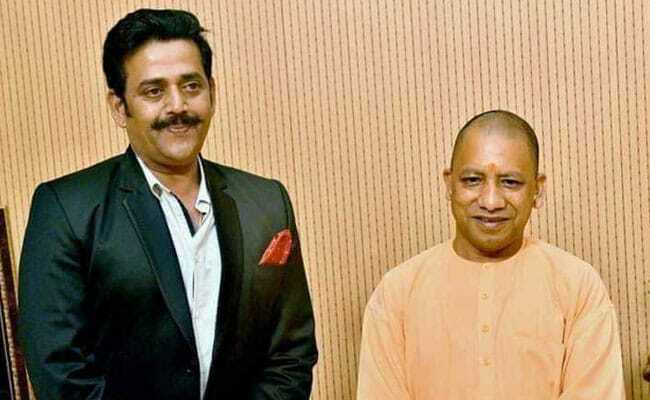 Bhojpuri superstar Ravi Kishan is BJP's pick for the national election in the crucial Gorakhpur seat - Uttar Pradesh Chief Minister Yogi Adityanath's stronghold - which the party conceded last year to the alliance of Samajwadi Party and the Bahujan Samaj Party. Praveen Nishad, who had wrested the seat for the opposition in the state polls before recently switching over to the BJP, has been shunted to neighbouring Sant Kabir Nagar. Ravi Kishan, who made his acting debut with Hindi films, had started doing Bhojpuri movies in the early 2000s. In the regional film industry, he got fame and a superstar status. His last big appearance was in Anurag Kashyap's critically acclaimed "Mukkabaz". The actor-turned-politician's first tryst with politics was when he had contested the Lok Sabha election in 2014 as a Congress candidate from his hometown Jaunpur, a city in eastern Uttar Pradesh, where the actor has a massive following. A BJP wave in the state ensured his loss. He got a paltry 4.25 per cent of the vote. In 2017, he joined the BJP. With his candidature, the BJP, which is facing a formidable challenge in the SP-BSP alliance, intends to exploit his popularity in eastern Uttar Pradesh. He is a Brahmin Hindu but perceived as an "outsider" by many. In Uttar Pradesh's complex caste dynamics, questions remain whether the vote of the so-called upper castes will rally behind him and where the crucial vote of the Scheduled Castes and Other Backward Classes go. Praveen Nishad's candidature from Sant Kabir Nagar, meanwhile, has led to the party dropping sitting lawmaker Sharad Tripathi, who had created a political storm by beating a local BJP legislator with his shoe. His father, Ramapati Ram Tripathi, however, has been given BJP ticket from neighbouring Deoria, which is represented by former Union Minister Kalraj Mishra, who is not contesting the national election due to the party's denial of tickets to leaders over the age of 75. Mr Nishad had defeated BJP's Upendra Shukla in Gorakhpur in a surprise bypoll win last year, after Yogi Adityanath, who had represented the Lok Sabha seat five times since 1998, became the Chief Minister. The win led SP chief AKhilesh Yadav and BSP leader Mayawati to join forces in Uttar Pradesh to stop the BJP from scoring a landslide win in the state. Ravi Kishan is not the only Bhojpuri actor roped in by the party this national election. Dinesh Lal Yadav, popularly known as "Nirahua", is contesting against Akhilesh Yadav in Azamgarh, a Samajwadi Party bastion.